Written by admin on October 16th, 2014 . Thames Valley Trail Association in conjunction with Hike Ontario will be leading a hike leader certification program on Saturday, November 15th at Kings College. The course will be from 9 am to 4:30 pm. One also needs first aid and CPR certification to be a certified Hike Ontario Leader. 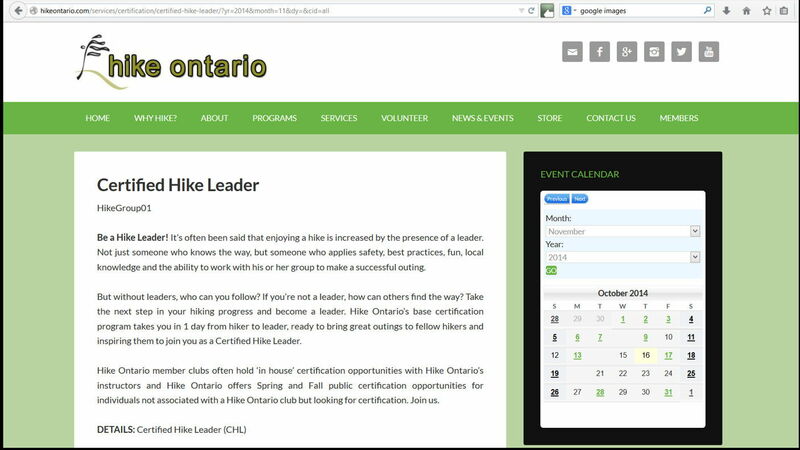 To register go to Hike Ontario website and look under Services then Certification then Certified Hike Leader. There you will find a course outline and shortly this course should show up to register. They need a minimum of 6 registrants to run the program. Course cost is $50. Gary cleaning up sand dunes.